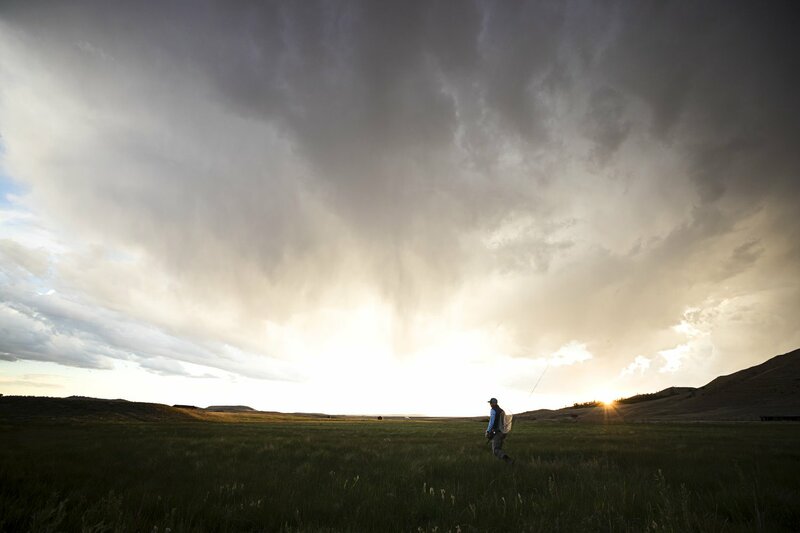 One of my favorite times to sight fish for trout is toward the end of a summer's day when most people are calling it quits. While the bluebird skies do make it easier to see trout, it is just as easy for the fish to see you. To be honest, the truly epic trout like to hunt undercover. On this particular summer day, a storm was brewing in the distance building from the day's heat. I knew, as the end of my guide trip was near, that the afternoon adventure planned with Ross Kingsley and Mark Welsh could easily turn into dimly lit adventure with the occasional dodging of lightning. Needless to say my Guides Choice sun glasses with the Low Light Ignitor Lens were up to the challenge. The bite was slow at first while the winds cranked up to a challenging 30 miles an hour, the storm showed its intensity and the skies above turned an inky black. Just then, as if someone hit a switch, the wind stopped. The reflection of the dark sky off the water opened up the river's edge like a window, giving us a chance to see if any predators where looking up from below. Within minutes we had our answer as a fish crashed at one of the bouncing caddies on the surface. A few casts later and I watched a butter colored brown, lift up and slash at my dry. The fight was on! 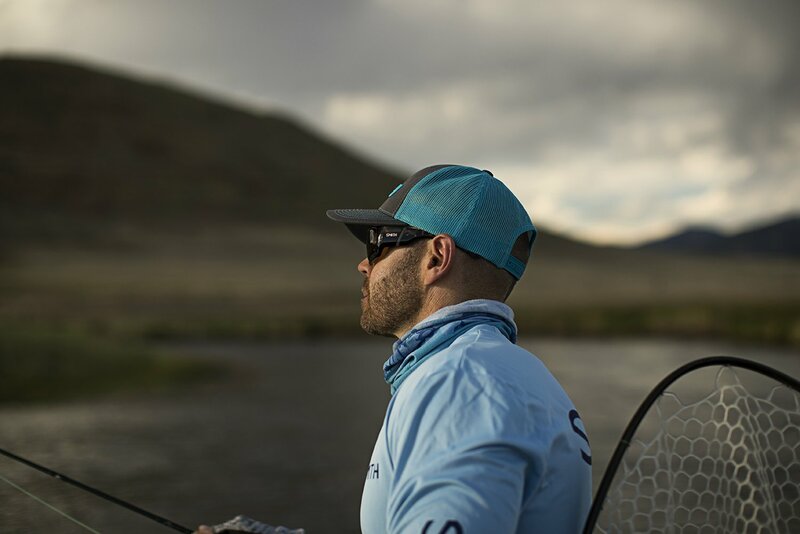 As I we were running down river, I found it supremely satisfying that we were the only anglers on the water. We were landing fish in one of the biggest storms summer had to offer. After adding a few more to the score. We took a cold one in hand and we toasted to the team at Smith Optics for supplying us such an advanced weapon. 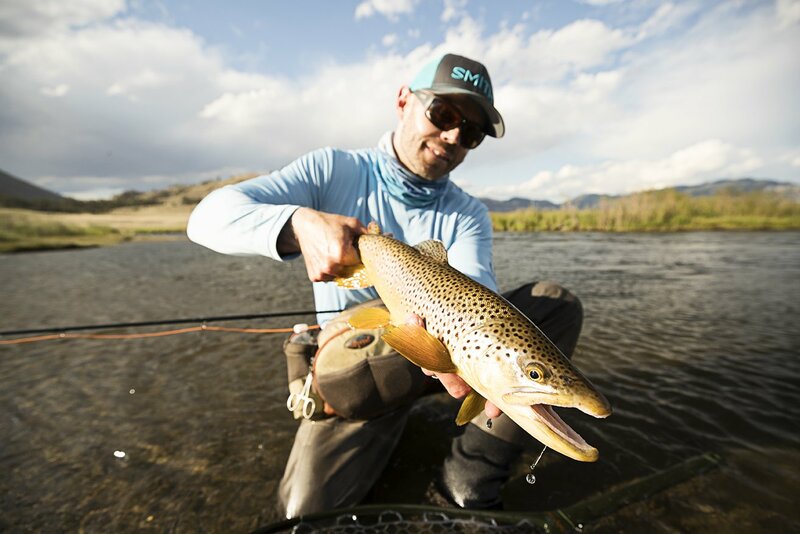 The next time you are in the hunt for big rewards on your local water don’t leave home without Smith's Guides Choice sunglasses. I used the polarized brown ChromaPop™ shades for the bright hours and low light Ignitors for the dark hour predator hunts!